Recently, Spanish airports invest intensely into commercial installations. In an airport there are, roughly, two main sources of income: Aeronautical revenues, which are derived from the operation of aircrafts at the airport; and commercial revenue, which are derivatives of commercial activity at the airport, such as shops, restaurants, rent of land, exploitation of parking and more. While traditionally aeronautical revenues had primacy over trade, in recent years this trend is turning around, since it is the commercial revenue that actually has greater capacity and increased development. Therefore, at Spanish airports AENA begins the setting up of so-called walk through stores behind the security checkpoints. Thus, the airport ensures that 100% of departing passengers pass through this duty free shop in order to access their boarding gates. This model is already used for a few years in the UK and will be used increasingly in Spanish airports. Currently the main airports of our country are in the process of remodeling its shopping areas, in order to adapt to this model of walk through stores. 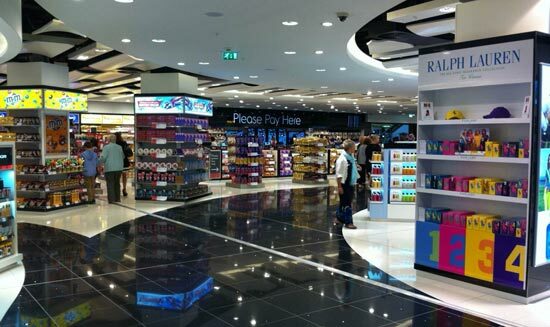 So, in the coming years we will compulsorily have to pass through the duty free shops when we travel from Madrid-Barajas, Barcelona-El Prat and Malaga – Costa del Sol among others.